by M.J. Moores, OCT. Author. Editor. Freelance Writer. Tara Sparling is an author I follow who studies the analytics of the book business. She’s developed some great title generators for various genre fiction that highlight and speak to the stereotypes present in writing and publishing. Tara has even gone so far as to outline major character arcs and plot points that each genre tends to follow – because that is what’s selling after all. The traditional publishers seem to like their carefully package, predictable formulas – writing and designs that they know will sell, especially when it comes to genre work. So what does that mean for those of us who like to try something different, who like a little spice in what we do to mix up the usual templates and themes? Well, there’s a reason self-publishing is becoming a lucrative market – when it comes to risk-taking who will be losing the time and money should an idea bomb, you or your publisher? I love the idea of genre-bending and blending. Yes, the Urban/Supernatural-Fantasy/Romance is more than a little bit over-done but it worked; it peaked interests and told publishers that teens and lovers of fantasy were looking for more diversity in their reading options. As a writer this opens up new avenues of exploration… or I thought it did. 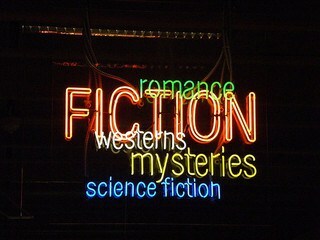 Is it really so bad to go Cli-Fi/Fantasy/Romance in today’s market? I think with the way self-publishing is going one might as well write what one wants to. It is a chance to see if your mix of genres works. This would be the time before someone steps in and lays down rules again. And it might happen, even if it’s that you have to pay a considerable amount to upload to certain sites and so you begin to think twice about stepping outside of the rules, lest your book does not sell. Ah, but wouldn’t it be lovely if obeying all the genre rules made the book sell. Therein lies the crux we authors face and the battle of traditional vs. self-publishing wages on 🙂 Thanks for commenting, Diane.